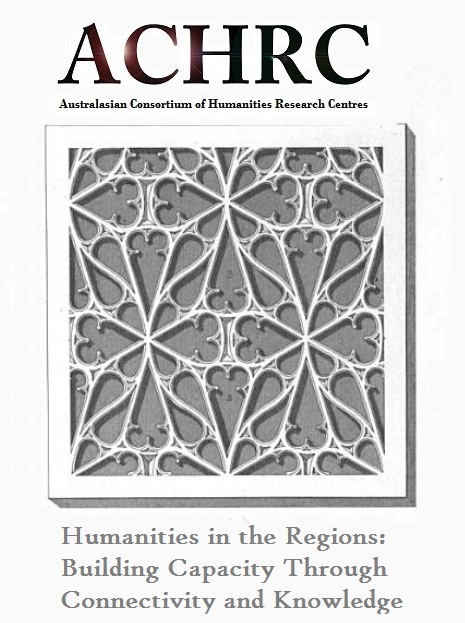 The ACHRC is co-hosting an event aimed at building research capacity, connectivity and institutional knowledge for Humanities research in the regions. This two-day event combines presentations on practical aspects of working on Humanities-projects from the regions, expertise in collaboration and grant writing partnerships, and workshops aimed at generating research outcomes. 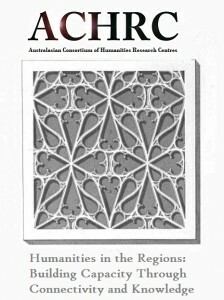 At this event, we will be launching “Humanities in the Regions”, a project of the Australasian Consortium of Humanities Research Centres designed to meet the needs of regions-based Humanities researchers. We invite interested parties to join the project which will be part network and part action group.